Milkweed Madness 2016 Tournament win 500+ Butterfly Weed seeds! Sperry's Milkweed Wins Milkweed Madness 2016! Milkweed Madness will track the popular NCAA March Madness tournament. Milkweeds will progress through the brackets according to the teams they are mirroring in the real life tournament. Please keep in mind that the bracket presented on this site is in no way affiliated with the NCAA or any intellectual property associated with March Madness. 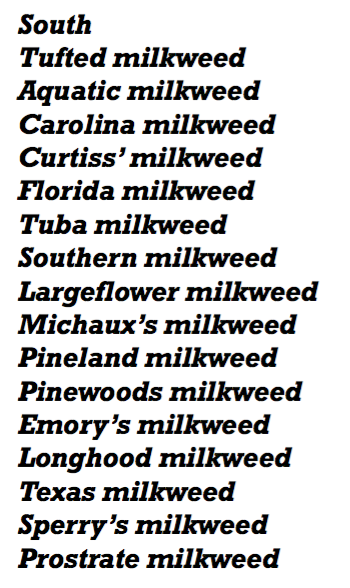 Contestants will be assigned their preference of milkweed region on a first-come first-served basis. Regional preference is not guaranteed. 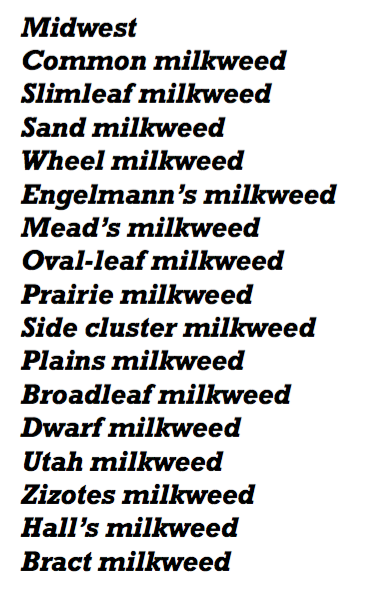 Once 64 contestants are entered the additional contestants will be assigned duplicate milkweeds. 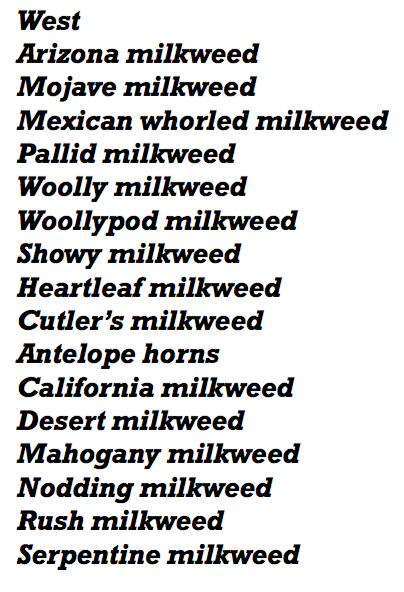 A maximum of 8 contestants can be assigned to one milkweed. 2. 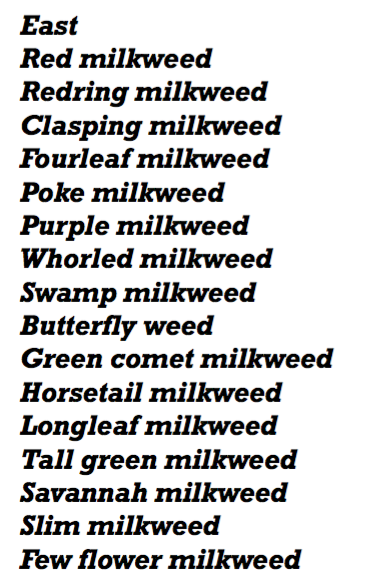 Receive an email on March 15th telling you which milkweed you are cheering for. 3. Optional: Watch as milkweeds advance through the brackets between March 15th and April 4th. 4. 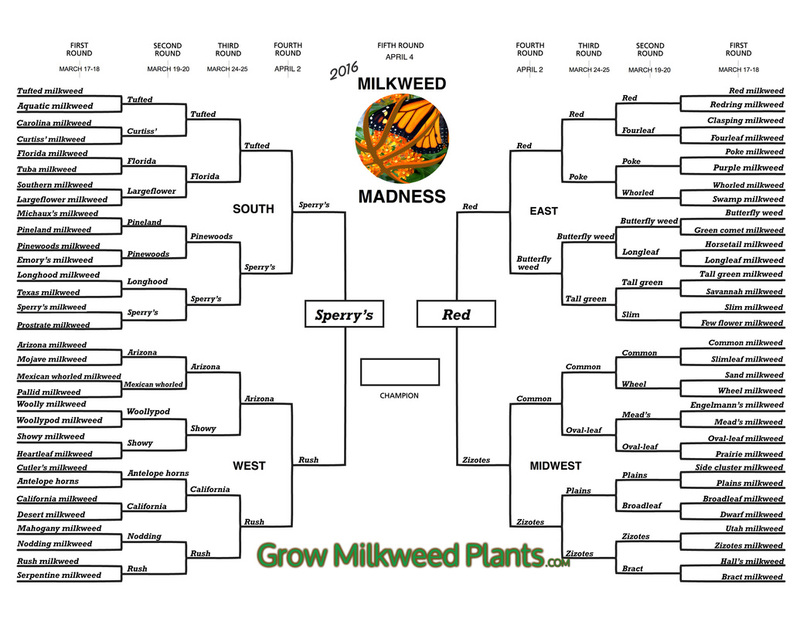 Win 500+ Butterfly Weed seeds if your milkweed wins the championship.